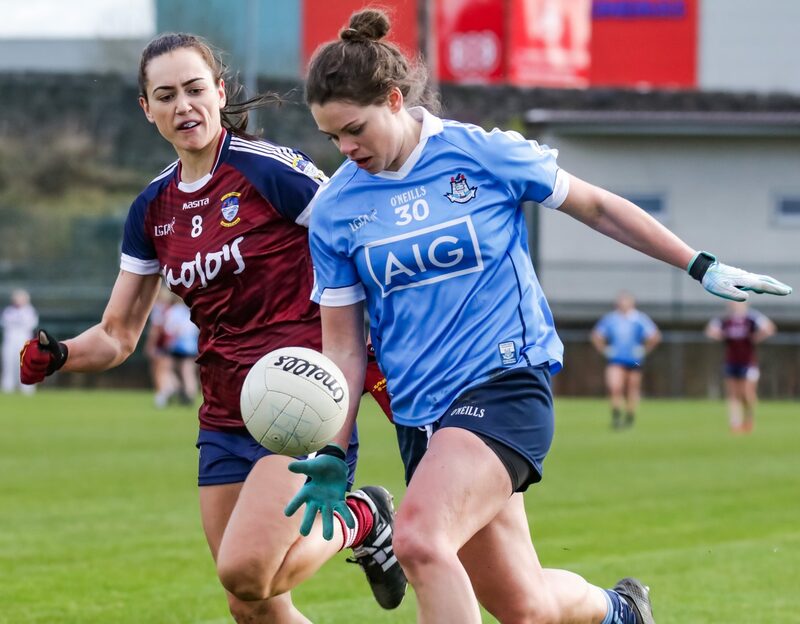 As expected, Dublin defeated Westmeath in this Lidl Ladies National Football League Division 1 clash at Lakepoint Park, but the All-Ireland champions were made work all the way for their victory. Westmeath looked poised to pull off a shock win when they went seven points up (2-05 to 0-04), after Kelly Boyce Jordan struck for their second goal in the 41st minute. 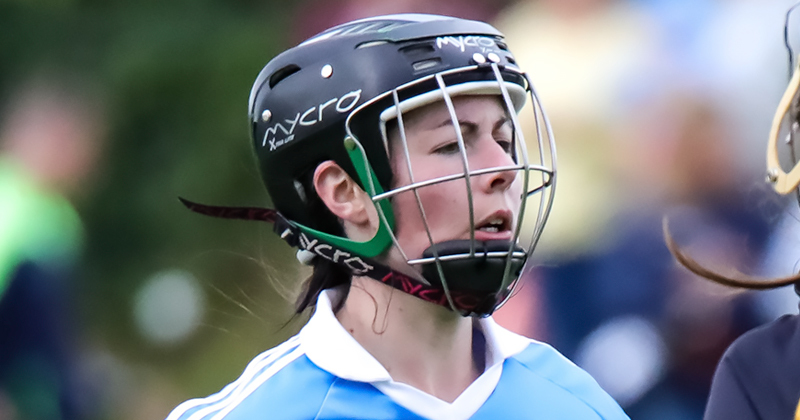 But Dublin aided by the half-time introduction of attacking ace Noelle Healy, eventually turned the tide. A goal from influential midfielder Carla Rowe proved a key moment, reducing the deficit to three points (2-05 to 1-05). The visitors were in control thereafter with a goal from Sinead Aherne sealing victory by a flattering margin. Helped by a splendid goal from promising young midfielder Anna Jones in the 7th minute, Westmeath led 1-04 to 0-04 at half-time. In truth, they should have led by more. Just before the half-time whistle, Westmeath’s Maud Annie Foley had a gilt-edged goal chance but her shot was saved from point blank range by Dublin netminder Ciara Trant. Foley scored three points from frees in the first half adding one in the second period with Westmeath’s other white flag raised by Johanna Maher. For the Dubs, Aherne finished as top scorer with 1-6, her six points coming from frees. But Mick Bohan’s side had to endure plenty of uncomfortable moments, with Westmeath having a goal disallowed early in the second half for what was adjudged to be a ‘square ball’. And in the closing moments, Dublin were relieved when awarded a free out for a foul on Trant as the Lake County girls sought a match-clinching goal. Dublin had two players sin-binned after receiving yellow cards, Laura McGinley (late in the first half) and Deirdre Murphy with Westmeath’s Johanna Maher receiving the same sanction close to the end. Dublin: C. Trant; L. McGinley, K. Murray, K. Fitzgibbon; S. Goldrick (0-1), M. Ní Scanaill, L. Collins (0-1); O. Carey, C. Rowe (1-0); A. Kane, L. Davey, E. Rutledge; R. McDonnell, O. Whyte, S. Aherne (1-6, 0-6f). Westmeath: K. Walsh; R. Dillon, A. Giles, N. Feery; K. Boyce Jordan (1-0), F. Claffey, F. Coyle; K. McDermott, A. Jones (1-0); K. Hegarty, M.A. Foley (0-4, 4f), J. Maher (0-1); S. Dolan, L. Walsh, L. McCartan.